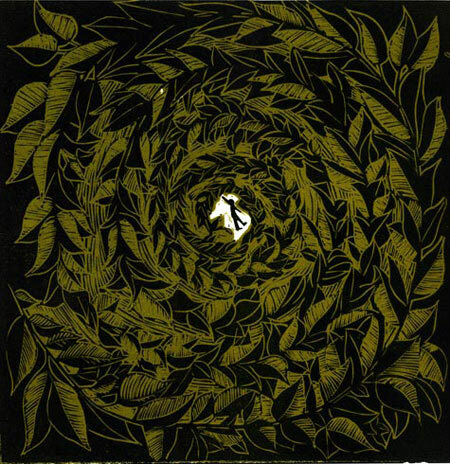 I went for the naive folk art look in my approach to this lino-cut. This print is also a tip of the hat to the rich heritage of African American vernacular art. 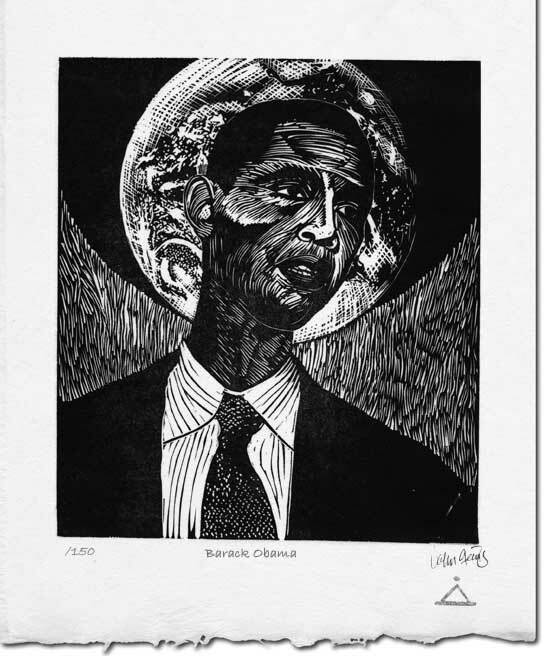 Click on Barack Obama Linocut for more detail. I love the contrast from Sharecropper. Unlike Sharecropper, President Obama’s eyes have a wonderfully unfixed hollow gaze like he’s overwhelmed and exhausted. May be a more telling capture of the end of his term rather than the beginning. Quill, thanks for taking the time to post. Yes, the reference to Sharecropper was too hard to resist although I think I would treat the subject a little differently if I were to do it again. American politics is fascinating if not entertaining, although it might be safe to say President Obama will be returned for another term unless the Republicans pull a rabbit out of hat.